Butterfly Poster Contest – Oklahoma Garden Clubs Inc. The butterfly MUST have its wings open, as in the picture. Poster 8 ½ x 11 inches on white paper or card stock. The design and medium should be done with colored pencils, crayons, watercolors, markers or chalk. 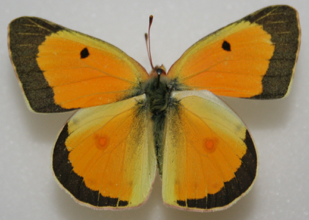 Label butterfly with scientific name and host or nectar plant. It MUST be at the bottom of the page. Divisions IV and VI contestants MUST write a paragraph about the butterfly. On the BACKof your entry (lower right corner), tape a separate tag with the following information: name, street, town, grade, division number, school, parent’s name, Garden Club and District. The Butterfly will be different each year.